So it was welcome news that during the same week Italy’s government assigned funds to complete the mobile dams currently under construction. These dams are designed to be raised from the seabed when high tides above 110 cm on the tide meter is reached, as on Monday. They would temporarily close Venice’s lagoon from the sea in order to reduce the quantity of water entering the lagoon through its three inlets to the sea. 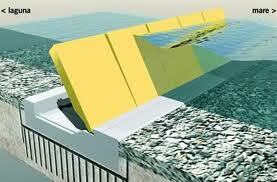 When the flood alerts are over, the dams return to the sea bed. 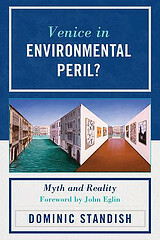 The dam system and debate about it is investigated in detail in my book, Venice in Environmental Peril? Myth and Reality (2012), where it was explained that the completion of the dams would depend upon political and financial support for them. Moreover, the continuing economic crisis in Europe and in Italy raised fears that the dam project would not receive sufficient funding to be finished. However, it is noticeable that the government has only planned to finance €50 million next year and has left much more significant payments for the following three years when we can be confident that there will be a different government. This means that political and economic priorities are still likely to change and, unfortunately, we cannot be so confident that the dam project will be finished in 2016.